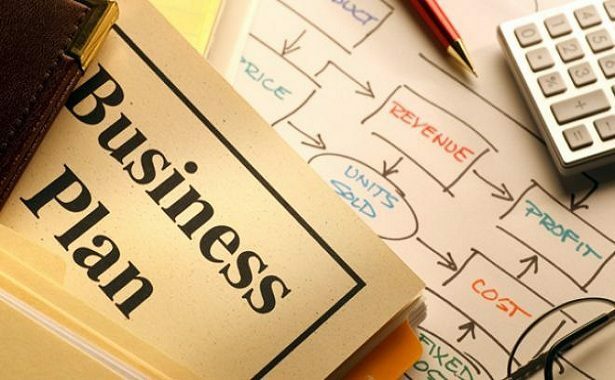 Are you one of the many people that think about becoming their own boss by starting a new business ? If you are, then you’re probably wondering exactly how much does it cost to start a new business. Although this article will give you an idea about general costs, in the end it all comes down to what business you want to start. It’s obvious that a freelancer trying his luck at online money making, will need a lot less money, than someone looking to start his own clothes line manufacturing shop. So follow the guidelines written below and you can approximate the final cost of your business, but don’t expect to find a single valid answer to this question. The first numbers you should think about are the costs of purchasing raw materials, warehousing, product inventories, packaging and shipping. These numbers could differ greatly, depending on the type of business you get into. These costs are easier to predict and will be around the same numbers, regardless of your business model. These are the fees you’ll have to pay to start your business and then set up the legal structure. These include but are not limited to trademarks, patents, copyrights, starting partnership agreements or joint ventures, attorney fees and retainers for your accountant. Depending on your business model and the number of employees you’ll have to hire, you need to find the best way to communicate with your team. This means technology costs like PDAs, mobile phones, printers, computers and any other equipment required to run your business. Also take into account costs of consulting an IT firm, internet connection installation, different subscription fees and security measures. To ensure a smooth day by day flow of operations, remember the administration costs, which will include office supplies, telephones, copiers, fax, parking fees, licenses, permits, business insurance and stationery. Also have in mind costs of different office furniture, filing cabinets and chairs. Any successful business relies on its capability to sell its products to customers. If you rely on a high demand product, all you have to do is to find a way to show your product to possible clients, which means sales and marketing efforts. If you have a limited budget, you should consider spending on posters, brochures, pamphlets and all kinds of cheap marketing materials. For bigger businesses that can spend a lot more on marketing there are other advertising channels, like attending or sponsoring different trade shows, mailing costs, lead generation costs, costs of your public relations team, different expenses for traveling and entertaining possible clients. Many startups require just a small number of employees, or even none at all, so depending on what business you want to start, don’t hire more people than you actually need. When you think about your employees salaries, don’t forget about your own profits. Also be prepared to spend or workers benefits, compensations, contractor fees and employee taxes along with the costs of salaries. Don’t expect to find an exact price for your startup idea anywhere online. It will all come down to the type of business, location, trade restrictions and many other factors. Is opening a new business a good idea for our average Joe ? Most of the average working people in US won’t afford to open a big company. That doesn’t mean that you couldn’t open your own freelance business and start working online to make some extra cash. Never spend more than you can afford, start small and don`t forget to spend some of the profits on yourself and in the end it will all be worth it. How Much Do Hair Extensions Cost? How Much Does It Cost to Reupholster a Couch?